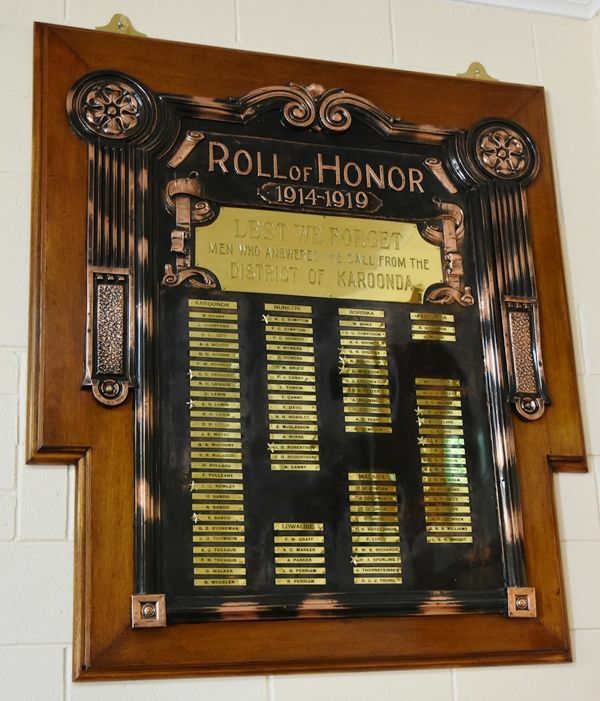 The district of Karoonda has now decided to show their appreciation by erecting a Roll of Honour at the local Institute, and the unveiling is to take place on November 2nd, and the Hon. the Commissioner for Crown Lands, in conjunction with the members for the district (Messrs. Mcintosh and McMillan, M.Ps) has consented to perform the ceremony. Murray Pioneer and Australian River Record (Renmark), 19th October 1923.